World of wheels is Pittsburgh PA one the popular event for car racing and some other celebrate things also. 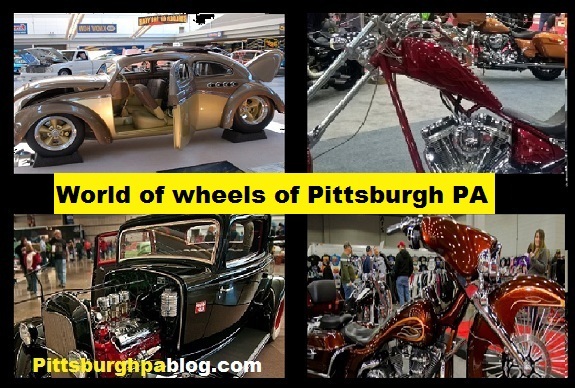 This is 57th annual world of wheels in Pittsburgh PA for summit racing show different type of cars and chop shop quality hot rods fabrication, car challenge and more other appearances celebrity will be held. Features Exhibitor are selling their wares and start to displaying there are more competitive car, bike and truck and classes which for only sport related customize and low riders for hot rods for sport. This is international show car which are association to showing their world class car with amazing presentation with this car association. It is very professionally judged based rules by ISCA various types of category and cash and awards are distributed with this seasonal event. Appearances and sponsor for race cars by NASCAR, NHRA, World of outlaws and cart and more also. Another special 50 years anniversary of Pittsburgh pa some wonderful celebration party and things also available wit good entertainment related for people and kids lover things also. Some of show and celebrate are free and have tickets system in stadium or studio like car or bike rice or wrestling also which people need to purchase their ticket if they want to enjoy that.